The setting is the 1930s England for the opening of this interesting historical trilogy which follows the life of the Dyers, a mining family. Father has left in search of work and eleven year old Mary is left to care and exercise their racing pigeons. With her older sister Phyl working as maid, Mary longs for a bike so she can work as delivery girl and contribute to their rapidly declining finances. Arnold, a classmate of Mary’s from a large family that everyone makes fun of, finds a rusted, twisted bike in a ditch and restores it. Their friendship is mocked by all, but the astute Mary, sees more in Arnold than is visible to others. The pigeons become a way of staving off hunger when Mother has no food to feed her family. Mary sends her best pigeon Speedwell by train to Bordeaux for the pigeon club’s annual race in the hope of winning. But the role of the pigeons changes when Mary falls down a quarry. Will Gaffer make it home in the storm and get help for her? Speedwell is also thrown off course by a different storm. Will she too, make it home safely? What about father who hasn’t been heard of for a while? 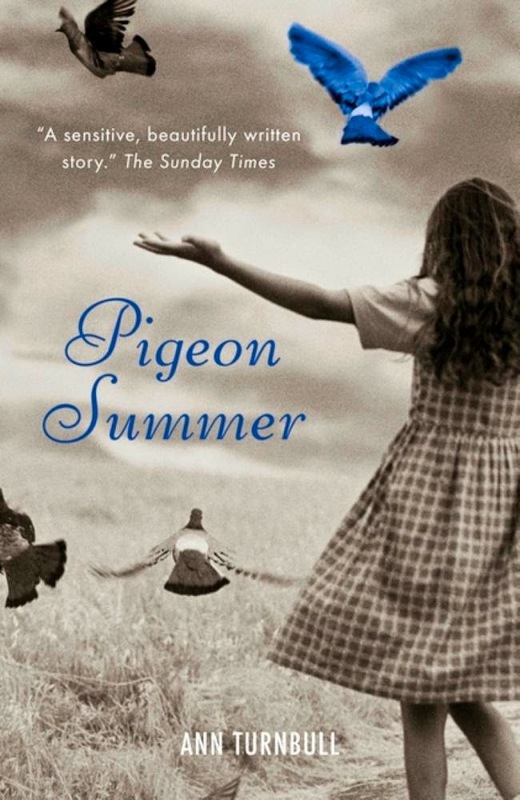 It’s a beautifully written story of strength, courage, resourcefulness and survival with a theme of family unity twisted through a background of pigeon racing during the Depression era.